The four year whole-of-mine contract was awarded in February and is our largest project to date. Our start-up team mobilised to site and commenced early works including the ground support of the box cut walls and first portal blast of the decline. The team is also completing site establishment with the construction of the workshop, batch plant and office. 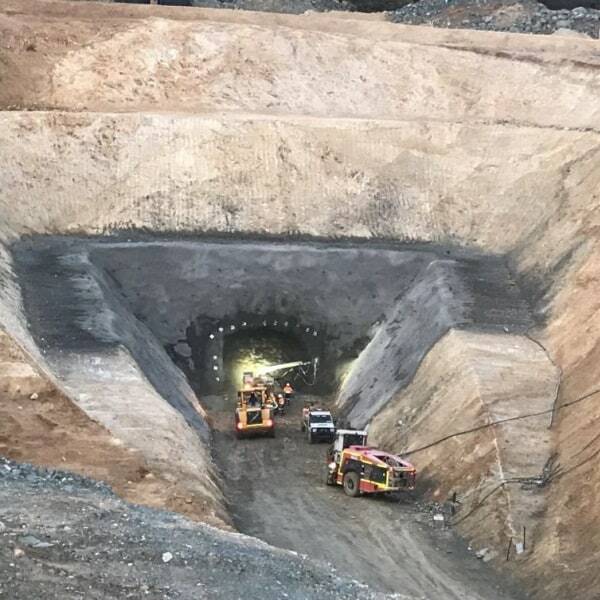 We will expand to a team of 120 during peak production and provide a substantial underground mining fleet including several development and production drills, multiple loaders and trucks, and support equipment. Across the site, the first tailings reclaim mining infrastructure has been installed, plant construction continues to escalate, and the first grid power stage has been connected and energised.